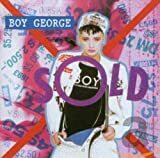 Quotes about and from Boy George at the largest music humor site on the web. Check out the index for other performers we have quotes about and from. I don't need you. - after being asked by Michael Jackson if he'd like to do a duet song with him. Prince looks like a dwarf that fell into a vat of pubic hair.